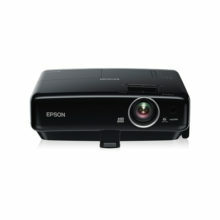 Whether travelling on business or having meetings away from the office, this slimline, ultra-mobile projector is ideal for effective presenting. 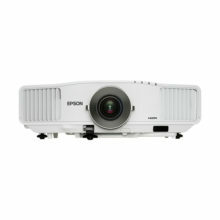 The EB-1750 is Epson’s most compact projector to date, offering seamless connectivity and harnesses Epson’s latest 3LCD technology to deliver bright, high-quality, graphics-rich multimedia presentations in brilliant colours. Are you limiting your presentations to your clients’ on-site facilities? With the new EB-1750, you no longer have to. This ultimate projector for mobile presentations is so compact, slender and lightweight, that you can simply slip it into your bag and go. 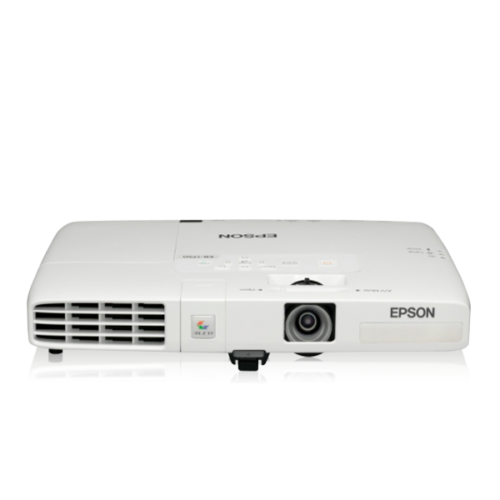 Enjoy greater cost savings and ease of maintenance with its Epson proprietary lamp. Designed to optimise light output, this highly efficient long-lasting lamp delivers noticeably sharper images to give that added professional touch to your presentations. Dimming the lights to make your business presentation is a thing of the past. 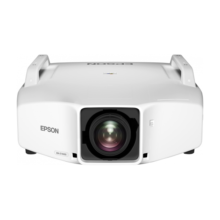 With powerful brightness of 2600 lumens, you can project crystal clear images in broad daylight and still be able to make that all-important eye contact with your audience. For automatic and convenient presentations, simply connect your computer to the projector via a USB cable. The projector operates on both Mac and Windows operating systems, giving you the convenience to choose your preferred presentation platform. The following versatile connectivity, configuration and security options ensure you can connect at a wide variety of venues and settings, and give seamless presentations the way you want them, every time. You can even view a JPEG slide show file without a PC by simply inserting a USB memory device into the connection on the projector. EB-1750 offers manual horizontal and vertical keystone, and auto vertical keystone correction. You can now set up a presentation with greater ease and convenience. When your presentation is finished, simply turn off, unplug and pack up the projector. No cool-down is required, so you can be ready to move on to your next meeting in no time. Lock the control panel buttons so that inquisitive fingers do not accidentally change your fixed settings. The remote control will still be fully operational. Secure your projector to a permanent fixture with a wire cable, chain or Kensington lock to prevent theft. With power-on password access, its power can be disabled if your projector is stolen. Without the correct password, your projector cannot be used. The password function shuts down completely after 30 incorrect attempts, so even if the correct password is eventually entered, the projector will not work.